Metro Decatur Dental Group PC team is friendly, caring and competent. Read more about Dr. Gary Simms here. Below is some pictures and bios of our team members. We look forward to speaking with you and meeting you in person! Lawanda Ferguson is our Office Manager who graduated from Advanced Career Technical Center for Dental Assisting in 2001. Lawanda started as dental assistant who worked her way to becoming an office manager for over 15 years. Lawanda is originally from South Carolina and has 3 daughters. Lawanda loves camping,sports, and anything outdoors! She’s committed to educating patients on their dental insurance and meeting their dental needs! Devin Draggs was born in Detroit, MI and relocated to Georgia as a child to ensure a better future. I was raised by loving parents in the Decatur/Stone Mountain area and soon developed an eye for detail and a habit of nurturing. Wanting to be a Dentist since a kid led me to Clayton State where I graduated with my Bachelor’s Degree in Dental Hygiene in 2013. Aside from being a hygienist I am a chef with my own catering business, a fashion and music junkie, and also a loving daughter, sister, aunt and friend. 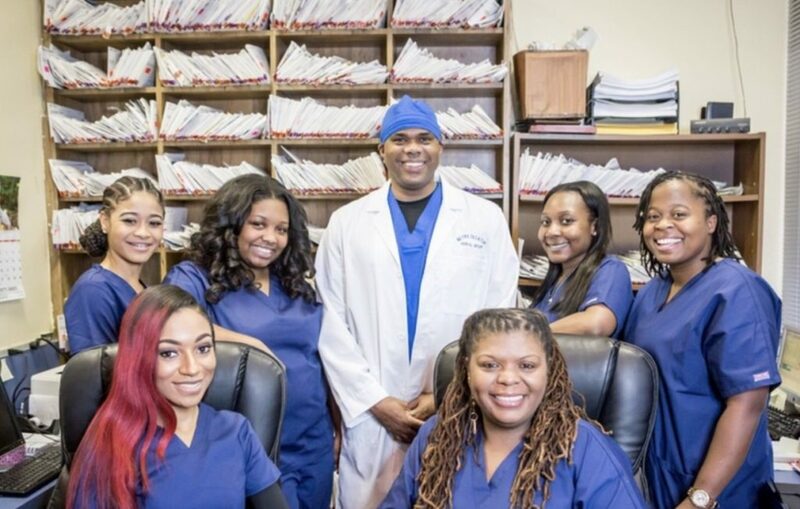 Dr. Gary Simms and Team Look Forward to Meeting You!